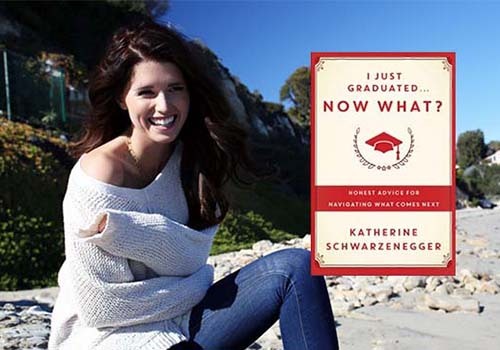 When Katherine Schwarzenegger graduated from the Annenberg School of Communication and Journalism at the University of Southern California (USC) in 2012, she took with her a major in communications and a minor in gender studies, but no clear idea of what she was going to do with either. Being the eldest daughter of actor and politician Arnold Schwarzenegger and journalist/author Maria Shriver, doesn’t necessarily mean you know what you’re going to do with the rest of your life — and Schwarzenegger wasn’t immune to the fears every student faces about getting a job or what the future might offer. “After I graduated from USC, I was clueless as to what I was going to do next. Everyone kept asking me the dreaded question ‘So now what are you going to do?’ she writes on her blog. “I really wanted to pause and consider the things that I’m passionate about in order to take the next step in my life,” she adds. In that pause, Schwarzenegger sought out the advice of former graduates who have since found success and fulfillment in their work, relationships, and lives. 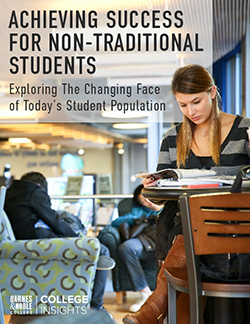 The result is a book that is quickly becoming a must read for the class of 2014, I Just Graduated…Now What? : Honest Answers from Those Who Have Been There. In her book, Schwarzenegger skillfully curates interviews from thirty highly successful people including Jillian Michaels, Eva Longoria, Andy Cohen, Anderson Cooper, Serena Williams, Meghan McCain and Gayle King. Their stories include anecdotes and advice on everything from embarking on a career, tips on how to balance work with friends, relationships, and family, managing student loan debt and even the wisdom of taking a “gap year” before starting that first job. “Everyone I interviewed had a great story to tell,” she says, and many of those stories are as fascinating as they are revealing: Anderson Cooper took a year off after graduation to become a carpenter, Sara Blakely sold fax machines door to door for years before founding her highly successful Spanx empire, while R&B star John Legend first tried a career in finance. In addition to the economic pressures graduates face, I Just Graduated…Now What? also focuses on aspiration. “I think people are also trying to find what their passionate about, what makes them happy,” she says. Passion is a subject Schwarzenegger emphasizes throughout the book, describing how Pencils of Promise founder Adam Braun, and Blake Mycoskie of TOMS shoes discovered their passion in cause-related businesses. “It’s so great to share our experiences, not only to learn from one another, but to also demonstrate how different our career paths are, especially in today’s society and ever-changing workforce,” Schwarzenegger explains. 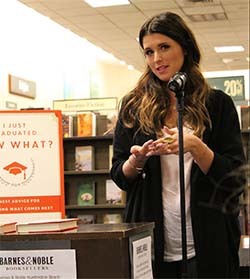 Now 24 years old and living in Los Angeles, Katherine Schwarzenegger’s own career path seems to be well established. She is a guest correspondent for Entertainment Tonight, sometime co-host of the Anderson Cooper talk show, and, in between appearances on everything from Rachael Ray to The View, also acts as a Global Youth Ambassador for the Dove Campaign for Real Beauty. Her interview resume includes First Lady Michelle Obama for her “Let’s Move” initiative and she has also been appointed by the Girl Scouts of the USA as the youngest member of their Blue Ribbon Commission on Healthy Media for Youth. In between writing on everything from style, food, health and fashion, she also speaks on various issues that are important to young women of her generation. “When I graduated, I couldn’t fathom why I didn’t have my act together, why I didn’t have a plan. But if I had, I wouldn’t have written this book. It all happens for a reason,” she says. And the biggest takeaway from her graduation experience? “There’s no one way to follow after graduation, there’s no right path anymore, no wrong path, there’s only your path,” she says. And that should be some comfort for this year’s crop of new graduates as they make their own way into the world.